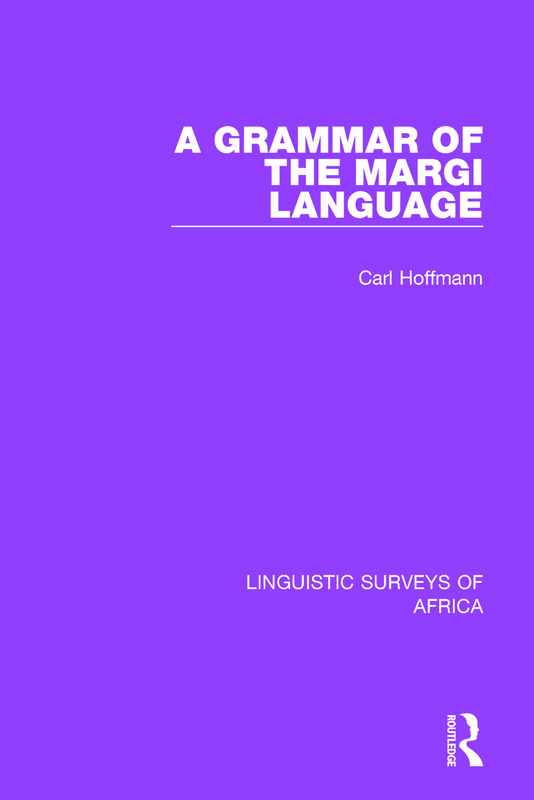 Originally published in 1963, this was, and still is, the only Grammar to be published of the Margi language which is spoken by the people of the Adamawa and Bornu areas of Nigeria. Definitions and explanations ahve been given in as explicitya form as possible, especially where the average student could not be expected to be familiar with the terminology. Numerous examples have been added to illustrate the theoretical explanations. Preface. Bibliography. Abbreviations and Signs. Introduction. 1. Phonology 2. Morphology and Syntax.